Green Eyes for "Tear". made them on request from "tear". 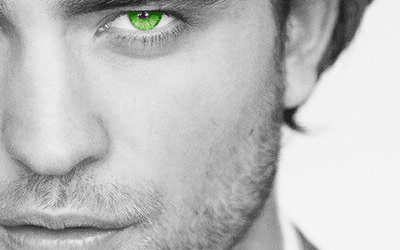 Wallpaper and background images in the Edward Cullen club tagged: robert pattinson edward cullen. This Edward Cullen fan art might contain completo and vestito di affari.